The history of terrazzo dates back over five hundred years. 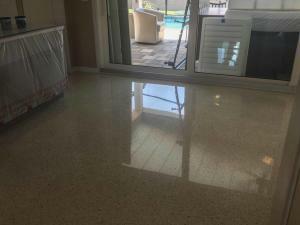 Terrazzo (Italian for “Terrace) floors were invented in Venice during the 15th century. Workers were left with oddly shaped pieces of marble after jobs. They would put the small marble rocks in clay and grind them flat for a more comfortable walking surface. The workers used a tool called a “Galera” to allow them to grind while in a standing position. The terrazzo would only show its true color when wet until workers discovered the milk of their goats worked as a finish to allow the terrazzo to show its real color. 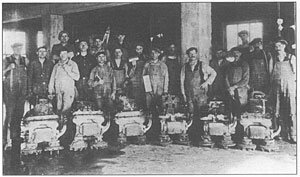 In 1924 the Galera was improved to create electric grinding equipment for a smoother finish. 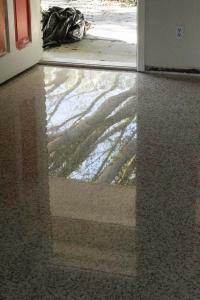 This was the original terrazzo finish. Shortly thereafter, white Portland cement was introduced into the industry. Portland cement could be dyed all sorts of colors, allowing for a limitless variety of terrazzo. In the late 1700s, terrazzo was brought over to the US from Europe. Monumental structures quickly began using terrazzo, including George Washington’s home in Mt. Vernon. 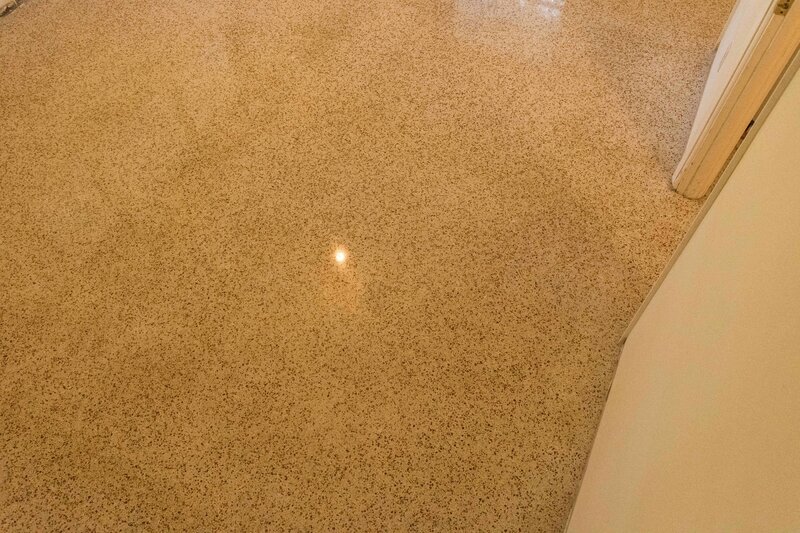 Epoxies, polyesters, latex and acrylics have improved terrazzo greatly in the past 40 years. Rustic terrazzo was also created for sidewalks, plazas, terraces, pools and stairways and could also be used on decks and walls. 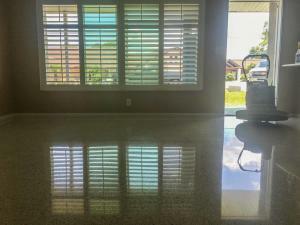 Today, almost anyone can own the floor “Meant for Kings and Queens” and it is viewed by architects as a great, contemporary style for walls and floors. The floor in the below picture is over sixty years old. It looks better today than the day it was first installed. 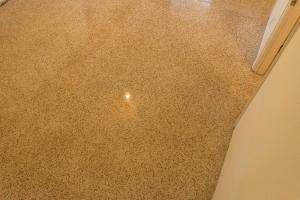 During the mid-1960s Thin-set, or epoxy based terrazzo was introduced. By the early 1970s it made up around 30% of all terrazzo being installed. It allowed for a greater diversity in colors and required less binder. 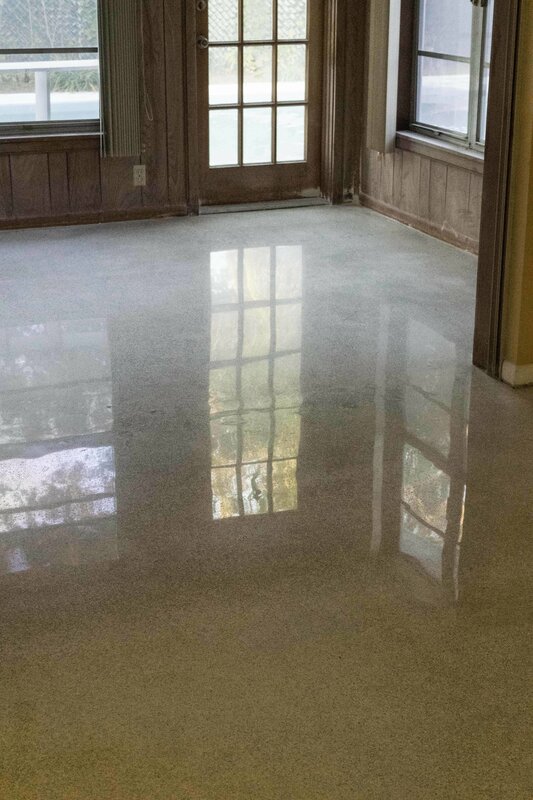 A floor could be poured at 3/16 inch instead of the 5/8 required for Portland cement. 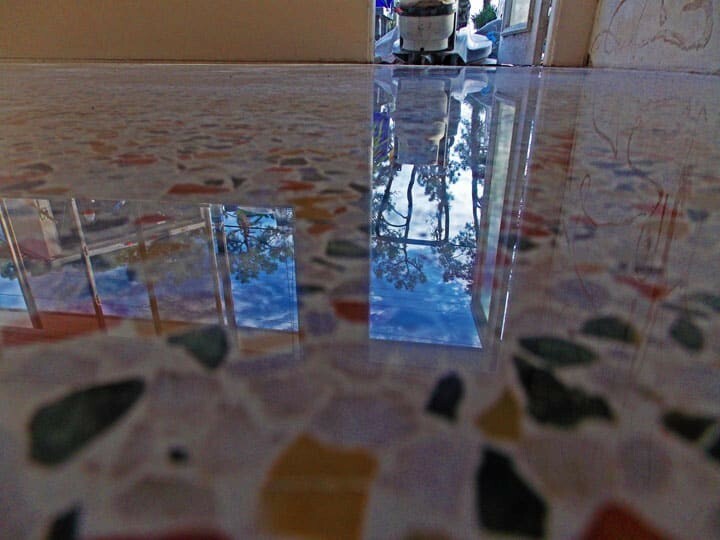 Today terrazzo is installed with glass, metal, sea shills, a verity of designs and colors. The possibilities are endless. 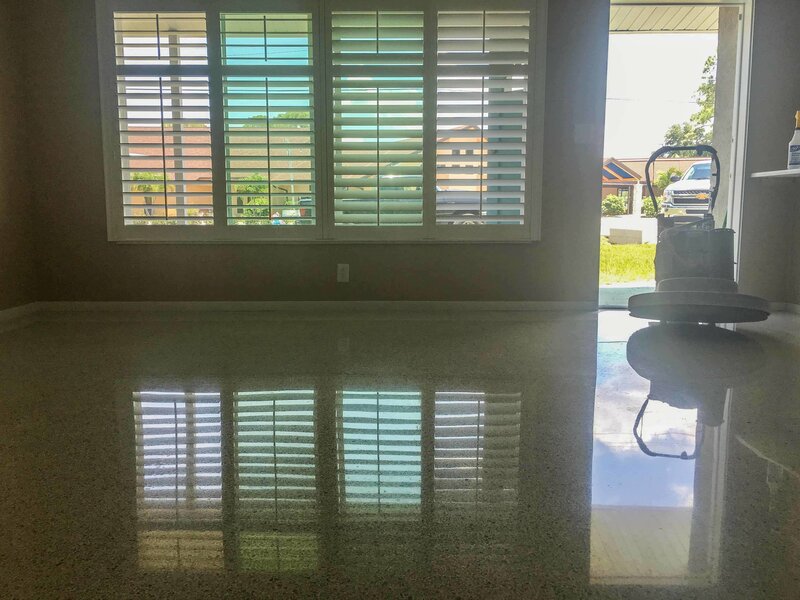 Terrazzo can last hundreds of years and still be polished to a high shine. The history of terrazzo dates back over five hundred years, but the evolution of terrazzo is ongoing.